What is the ‘600 Rule’? 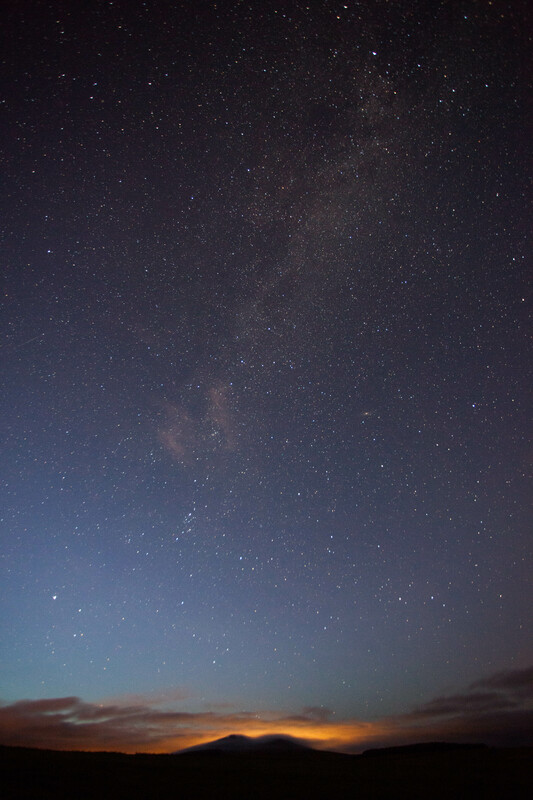 Getting to grips with astrophotography seems like an incredibly daunting task. Not only are you faced with the challenges of finding the right location, right time in the Lunar cycle and difficult weather conditions there’s also the added pressure of how to use the camera equipment you own. Thankfully there a few useful tips available that teach us some simple tricks for catching the perfect star shot. This equation below is known as the ‘600 Rule‘. So what’s it all about? If math wasn’t your strong point at school, the mix of numbers and letters can seem quite daunting. It’s actually a very simple equation that can be explained quickly. 600 divide the focal length of your lens gives you the maximum exposure time time before stars start to appear as trails. For example, if you’re using an 18mm lens, you can apply the rule to learn that any exposure time over half a minute will most likely result in star trails. 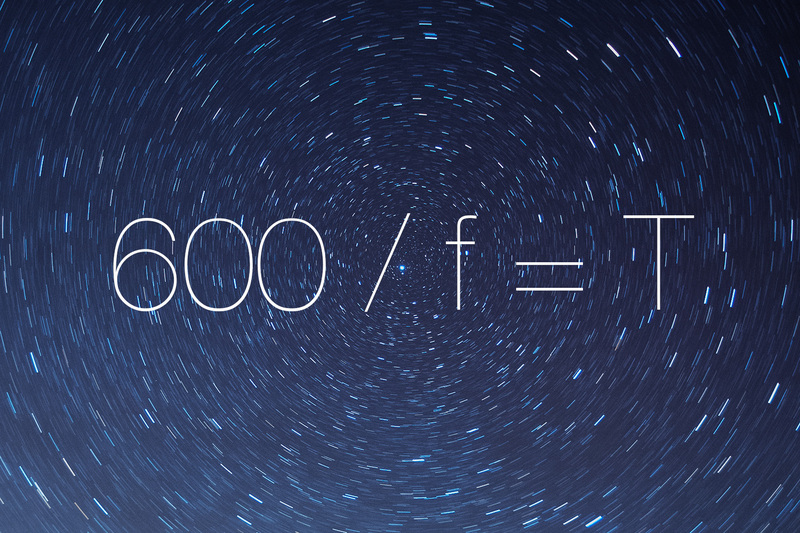 The primary function of this equation is to prevent those pesky star trails from appearing on your photographs. If you stick to the rule you can be pretty sure that you’re safe from any movement in your image. However if that’s what you’re after then you’ll know how long to wait until trails begin to appear – Rules are made to be broken, right? 5Dm2, f/4, 17mm, 30 second exposure: No Star Trails. The more seasoned photographers will spot a flaw in the rule when it comes to determining your optimum time. Different camera bodies introduce a couple more sets of variables to the equation; the sensor size & the image size. Furthermore, stars that appear further from the the North or South poles move quicker. The ‘600 Rule’ is specifically aimed at full frame cameras with image size of around 21Mp, ie the Canon 5Dm2 shooting 30 degrees above the horizon. The alternative rule some people use for a 2/3rds size sensor or APS-C which would apply to budget Canon and Nikon models would be the ‘400 Rule’, however for the point of simplicity your exposure time will still be roughly correct. Previous Article Look at This Stunning Photo! Next Article First Day of School Pictures are the Best!